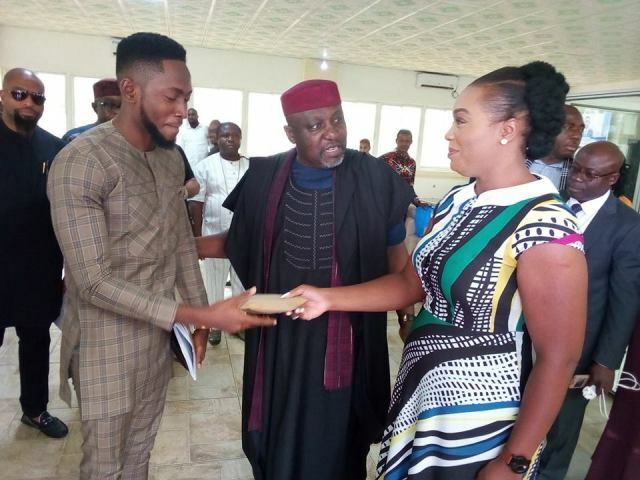 Big Brother Naija 2018 winner, Miracle Igbokwe receives pledged $25,000 from Imo state Governor, Rochas Okorocha. 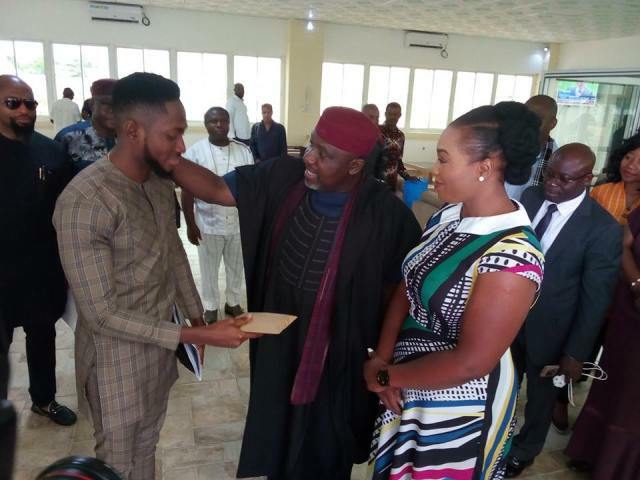 Miracle Igbokwe was at the Peoples House in Owerri, Imo State Capital to receive $25,000 (9 million Naira) pledged to him during the official reception hosted by Imo State Governor, Rochas Okorocha sometimes in May. According to the report, the money awarded to him is to fund his Pilot training tuition abroad. Apparently, the money is needed so he can begin to process his admission into aviation school. The presentation was made by Mrs Uloma Nwosu on behalf of Rochas Foundation. 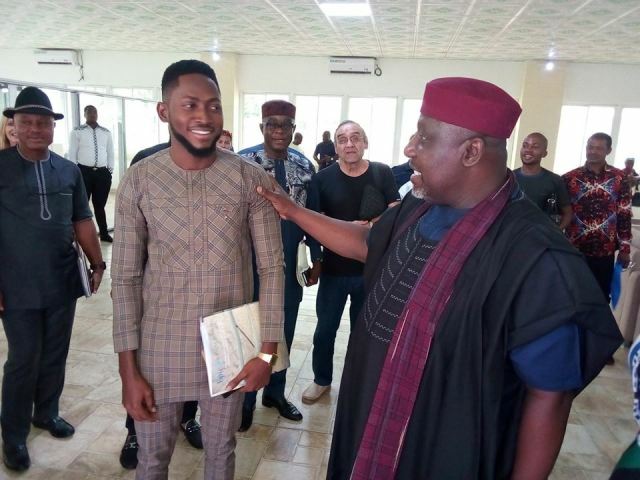 Miracle is unarguably an all round winner and we can only imagine how far this can take him. Fly on boy!